Cancer researchers continue to explore why cancer occurs in the body – and how to stop it before it shows up. Tools like genetic testing, which looks for alterations, or mutations, in a person’s genes, can help determine whether a person is more likely to develop certain kinds of cancer. But researchers have also identified a number of evidence-based ways you can lower your cancer risk on your own. 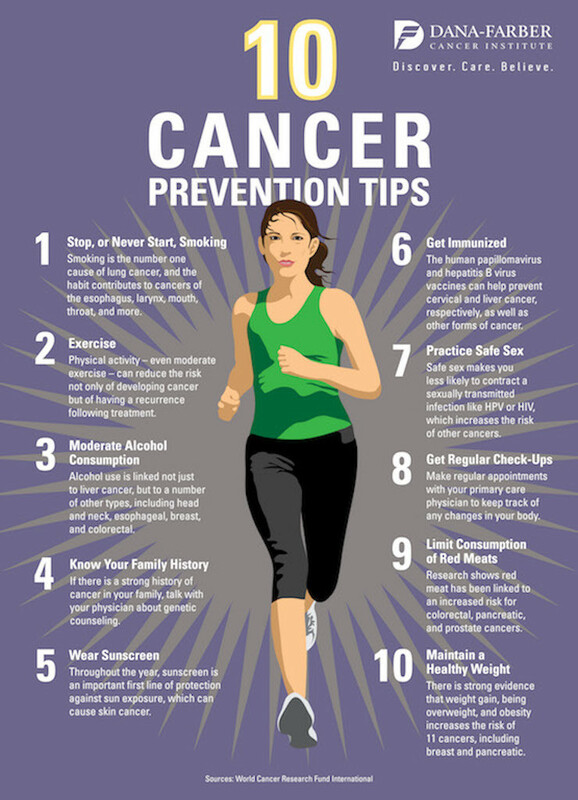 Here are 10 tips for reducing your risk of developing cancers, including cervical, liver, pancreatic, and others. Learn more from Dana-Farber Cancer Institute’s Center for Cancer Genetics and Prevention. This is so simple, yet so true.